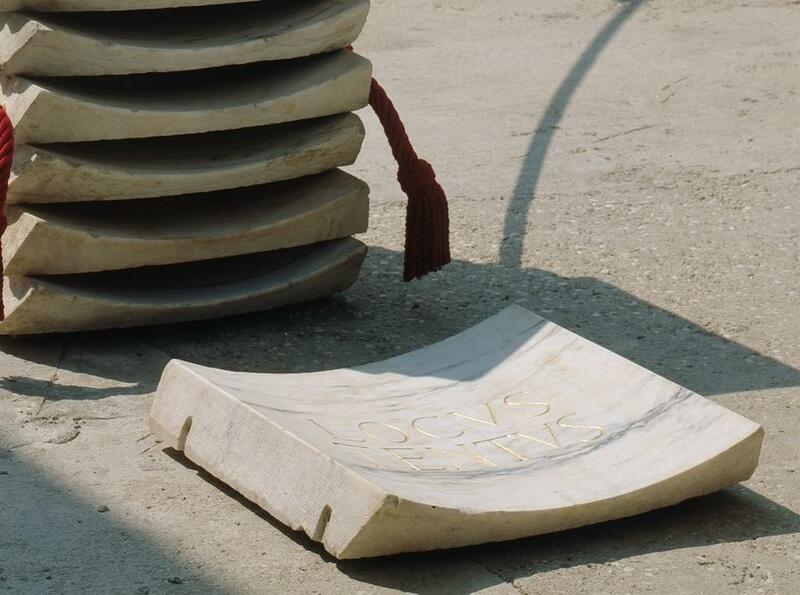 Materials: white Carrara marble, rope, first-quality gold. Dimensions: m. 2 x 3,4 x h 2,35. 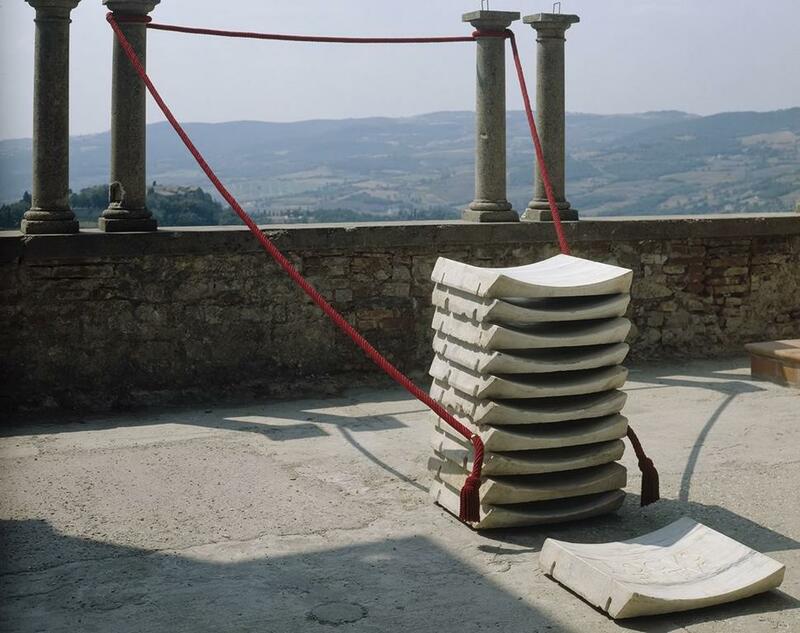 For an event connected to the Festival of Todi, Dompè created her Summa Cavea with a subtle play that involves the theatre-going public: at the entrance of the festival, in the suggestive cloister of the Nido dell’Aquila (Eagle’s Nest), ten marble chairs are stacked and blocked off by a rope that is tied to the columns of the cloister, creating a boundary around the small area and marking it off as already occupied, not accessible. The eleventh chair is on the ground, separated from the others but not blocked off; however, it equally carries letters elegantly carved in capital letters filled in with gold leaf; the inscription says: LOCUS TENTUS (place occupied), indicating the place that is occupied by others. Dompè evokes an ordinary public, like those that in the ancient Roman theatres watched the plays from the summa cavea (the last row). The work alludes directly to this kind of ancient gallery, and the work involves and joins with the Umbrian landscape, the silent end of spatial relationships.